The statehood of Odisha has always stayed in news for the exceptional caliber of its artistes. As the world has fallen in love with the magnificent poses and steps of Odishi dance, the new sensation in the oeuvre of art is the new generation of talented singers. It swept the entire world off its feet, when the thirteen year old female singer, Ananya Nanda, from the state won the Indian Idol 2 competition. The world is also aware about the great voice of male singer, Rituraj Mohanty, who won the singing competition India’s Raw Star. Adding to the list of budding talents in singing, Monalisa Panda is the latest sensation in Odisha. Hailing from the temple city, she is singer of the hit song ‘Kuni lo Kuni’. Her talent recently gave her the opportunity to sing in two hit Odia movies. “I was initiated into singing at the age of two. It was sheer perseverance and determination to sing the good songs that kept me searching for new avenues in singing. I always looked for perfection, although it is very tough to be perfect in the art of singing”- Monalisa smiles remembering her past in the small township of Jeypore in Odisha. She grew up in the small town, encircled by lush greenery and wonderful scenic places. The surroundings of the town and ever-lasting peace brought her the perfect focus that she needed to excel in singing. Monalisa’s life took a decisive turn after she married and shifted to Bhubaneswar. She finished her Masters in Business Administration (M.B.A) and opted for a career in the corporate sector. With her indomitable will, she bagged a job in a leading private firm as an officer in Human Resources Department. “But singing stayed my passion. I was born for it. Even after grueling work in the office, I would rehearse. I would keep my feet on two boats simultaneously. It was tough to keep balance”, she said. So far, life has offered more challenges than opportunities to Monalisa. The successive bouts of illness to her husband and son had the devastating effect on her mental peace. But like every time, she refused to get swayed and lived with a firmer resolution. “Women are the manifestation of energy. Be it any calamity, they have the power to overcome. However, challenges often appear in life to transform you fully”-She adds with her ever-lasting gusto to counter challenges in life. Apart from her passion for excelling in music, Monalisa had the yearning for social service. 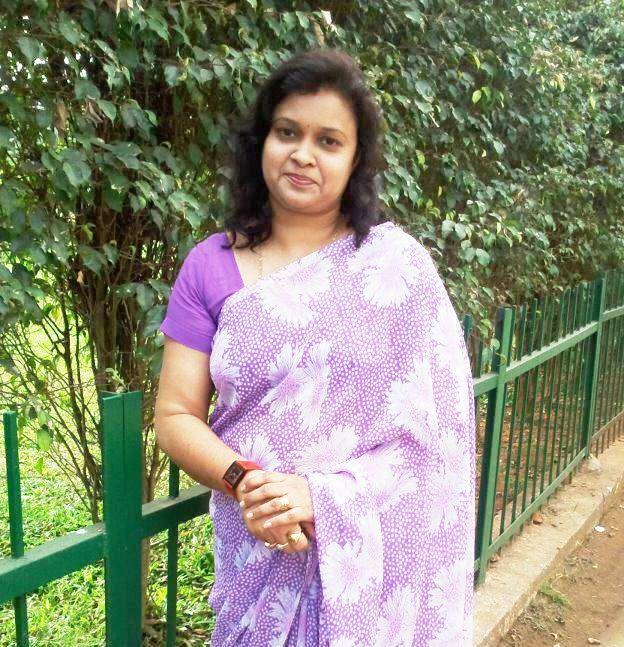 Subsequently, she shifted her job to Kalinga Institute of Medical Sciences (KIIMS) to take an active participation in serving people, who are seriously ill. “I love to help the patients in every way, who come looking for treatment every day. The struggle for survival is an inspiration for me as I have seen my husband and son suffering from serious illnesses. Literally, I have lived so far with my sources of inspiration and enjoyed them”, she says. Being a house-wife and executive in a corporate hospital, she still works till evening only to return for rehearsal and recording of songs in the studio. “Stick to what you are good at and persevere till you succeed”-She delivers her message on the occasion of Women’s Day.